Claiming your promotional discount is easy! No idea how to install a website? With our Managed Hosting plan you do not have to worry about installation, configuration and updates. We install WordPress for you and keep it up to date! If you are a business or power user you can opt for our Pro plans. Pro are placed on Pro server that come with even more speed. They also support advanced functions such as SSL and cronjobs. For all other purposes you can use our affordable SSD Fast hosting plans which are up to 10X faster than your traditional hosting provider. At Hostdeko we can be faster because all your files are placed on blazing fast SSD’s. We use the latest in SSD storage technology. If that wasn’t enough we also use plenty of RAM memory for our server. Meaning that there is a big chance your most used files can be read even faster. Customize your plan and continue to the Review & Checkout page. Scroll down and fill out all the required details. 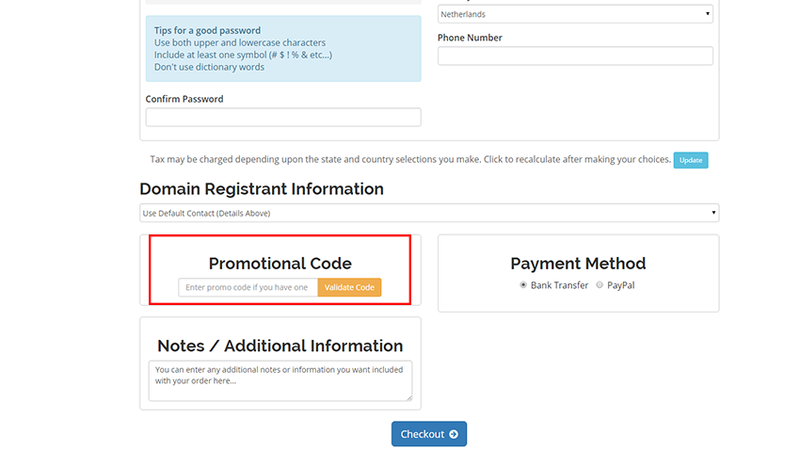 Enter your Promotional code at the bottom of the page and click Validate Code. 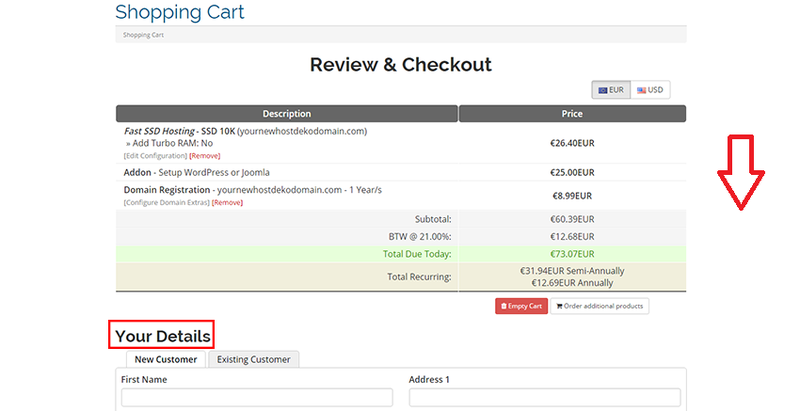 Your discount will be applied to your shopping cart. Proceed to checkout to complete your order and enjoy your discount!